The Minnesota Special Education teacher, Sam Ness, who tweeted about wanting someone to kill Supreme Court Justice Brett Kavanaugh has voluntarily resigned, the Minneapolis Star Tribune reported. According to a press release from Intermediate School District 917, the district immediately put Ness on paid administrative leave while the complaints were investigated. Ultimately, they found out that the special education teacher made the threats on her own personal device on her free time. "The actions of the employee did not occur at school, and there was no school devices, equipment, or other school staff involved in the actions," Superintendent Mark A. Zuzek said in a statement. "At no time were students or staff in danger." The district said Ness voluntarily resigned from her position with the school district and is no longer employed at the Alliance Education Center, which serves students ages 5 to 21 who have autism spectrum disorders, developmental disabilities, behavioral disorders and other disabilities, the Star Tribune reported. The Dakota County Sheriff's Office also alerted the FBI to the threat that was made, the Duluth News Tribune reported. 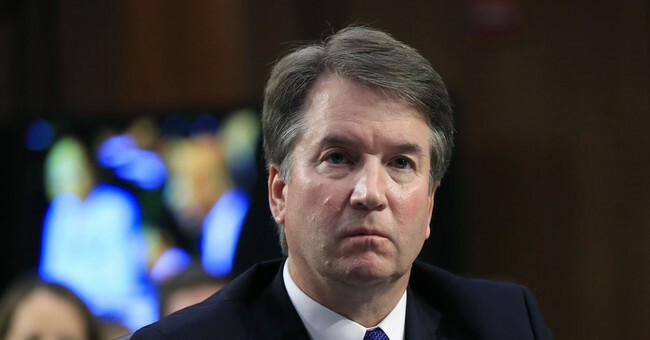 Kavanaugh was confirmed to the Supreme Court on Saturday by a 50-48 vote. He was quickly sworn in so he could immediately participate in the Court's proceedings.